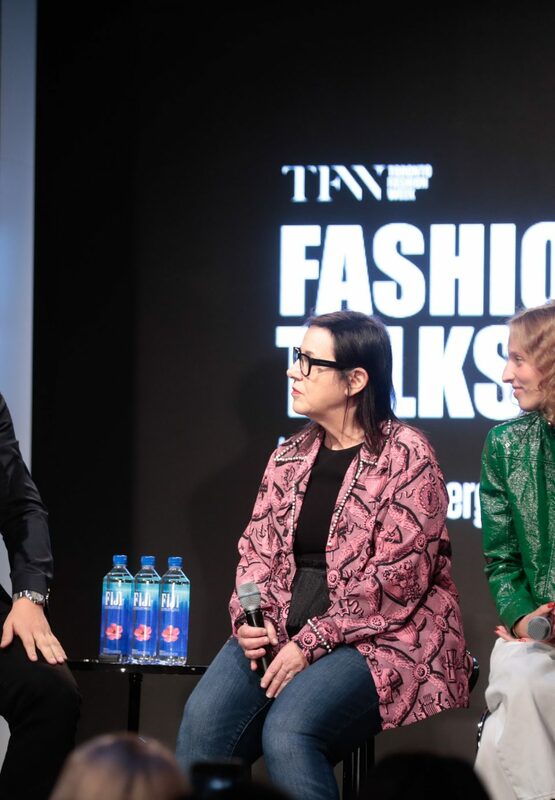 We kicked off Day Two of Toronto Fashion Week Reimagined with our exclusive panel discussion: Fashion Talk Hosted by Derek Blasberg Featuring Petra Collins and Arianne Phillips. Inside the packed tent in Yorkville, the three industry powerhouses (Blasberg is Vanity Fair’s “Man on the Street” and host of “CNN Style” on CNN International, Collins is an influential artist/photographer/filmmaker and Phillips is a renowned Oscar-nominated costume designer) held an engaging 45-minute conversation on topics ranging from working with pop icons to dream projects. “I get to hang out with two of my favourite people,” said Blasberg when he introduced our two guest panelists, who then engaged the audience with their unique industry perspectives.